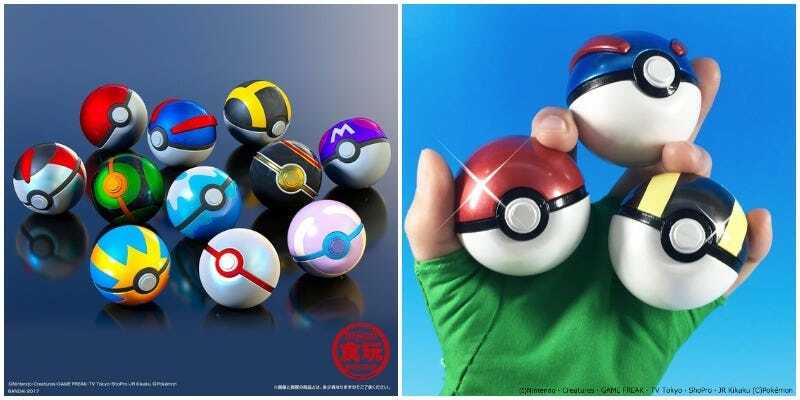 In Japan, Bandai is releasing a set of Poké Ball. There’s a total of 11 different Poké Balls in the set, and while they’re designed to hold candy (and not, you know, Pocket Monsters), these replicas are rather handsome. Over the years, Japan has seen an array of mock Poké Balls. They’re typically sold at supermarkets and contain small figures or candy. Bandai released four different Poké Balls earlier this spring. Priced at 7,020 yen (US$64), the set of eleven is not cheap. But they do come with candy, and who doesn’t love candy?